Jan Ramberg is a Swedish lawyer and professor emeritus of Stockholm University specialising in commercial law, and acting as an arbitrator in national and international arbitrations. Ramberg is also a former member of the Board of the Stockholm Chamber of Commerce Arbitration Institute. Professor Jan Ramberg graduated from Uppsala University and obtained his LL.D. from Stockholm University. He has worked as a Civil Law professor and he is the former dean of the Faculty of Law. He also was the first Rector of the Riga Graduate School of Law. Professor Ramberg has been a practising lawyer and partner in the law office of Johan Ramberg in Gothenburg and has worked on the boards of several large enterprises. He is former President of the Swedish Maritime Law Association and the Scandinavian Maritime Law Institute and former Chairman and presently member of the CISG Advisory Council and is a Senator of the European Law Institute. He is Honorary Vice President of Comité Maritime International(CMI) and Honorary Member of FIATA. He is the author of some 100 books and numerous articles on contract law, maritime law and transport law published in English, French, Spanish, Russian, Arabic, Chinese, German, Italian, Ukrainian, Finnish, Norwegian and Swedish. 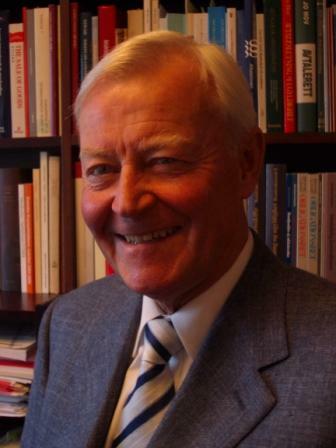 Professor Ramberg was a founding member of the CISG until his death on 24 January 2018.